Tottenham Hotspur are in all sorts of trouble in this late part of the Premier League season. After another loss, this time to Liverpool, their place in the top four is in danger and their run-in will be even tougher as they will have to play Manchester City in two Champions League clashes. 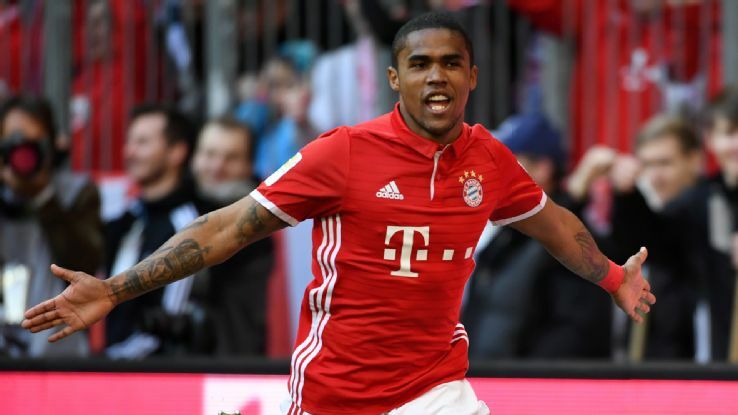 But, it looks like Spurs are looking for some important solutions for the next season, as they have emerged to be one of the clubs interested in signing Douglas Costa. According to Tuttosport, Tottenham have made Juventus winger their summer transfer target, as the club has been without transfers in the past year! Manchester City and Manchester United were also reportedly chasing the Brazilian, but Spurs are hopeful of beating their rivals in this race. Costa has a contract with Juventus until June 2022, which is still a long time, but he has not been playing much under Max Allegri this season.